DEEP RIVER— The board of finance has approved a $25,000 cut in the $15.3 million budget plan that was rejected by voters in a referendum this week, with a June 9 town meeting vote scheduled on a revised budget for 2014-2015. The town meeting will convene at 7:30 p.m. in the town hall auditorium. The finance board, meeting jointly with the board of selectmen Thursday, approved a reduction of $12,500 in the town government budget, and a $12,500 reduction in the appropriation for Deep River Elementary School. The cut will allow for a small reduction in a planned 0.85 mill hike in the property tax rate that had generated some controversy in this year’s budget process and set the stage for Tuesday’s 115-78 referendum defeat for the budge, the first rejection of a budget in Deep River since 2001. The new tax rate would be 25.88 mills, a 0.80 mill increase from the current tax rate. The spending plan defeated in the referendum called for a tax rate of 25.93 mills. The new rate would represent $25.88 in tax for each $1,000 of assessed property value. First Selectman Richard Smith said finance board reviewed various budget accounts during Thursday’s special meeting, often considering cuts of only $500. But after discussion with the selectmen, the board approved only a $25,000 reduction. He noted the review confirmed that most of the town budget accounts are “very tight,” with reductions possibly leading to budget overruns at the end of the next fiscal year. Smith said the $12,500 cut in the town government budget would come from an additional $25,000 that was included for storm clean up in 2014-2015, an addition that was made in response to the harsher than usual past two winter seasons. The $12,500 reduction in the elementary school appropriation will be determined by the local board of education. There could be no changes in the town’s $5.6 million share of the Region 4 education budget that had been approved on a 319-253 vote in a May 6 referendum. Chester and Essex voters had supported the Region 4 budget, though voters in Deep River opposed the budget 156-69. With more students attending Valley Regional High School and john Winthrop Middle School, Deep River had a $442,063 increase in its Region 4 budget share that accounted for much of the total $523,376 spending increase that led to the proposed 0.85 mill tax increase. Smith said selectmen and the finance board are prepared to publicly oppose the Region 4 budget before the 2015 referendum if it includes a large increase in the Deep River share that would require a tax increase for 2015-2016. Finally the unoccupied property on North Main Street has been demolished. 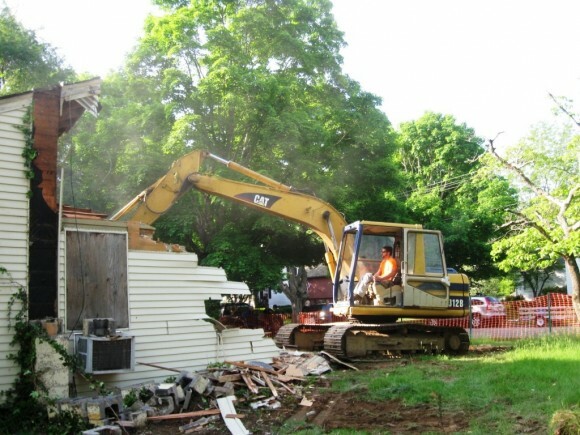 Early in the morning of Tuesday, May 27, a work crew from Shea Construction brought heavy equipment to the site, and methodically demolished the property and removed the debris, leaving a hole in the ground where there once was a slum. Read the full story: Eyesore No More, Essex Slum House Is Taken Down. 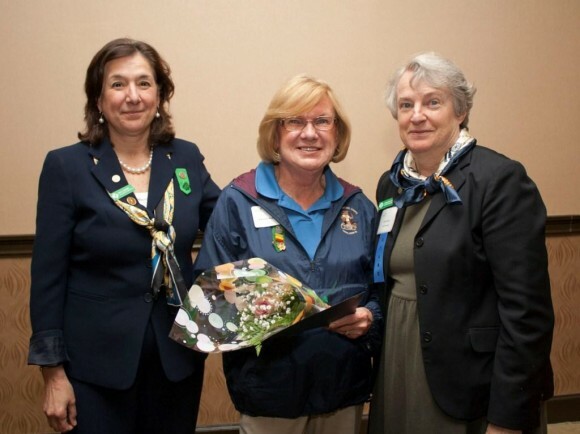 OLD SAYBROOK — Girl Scouts of Connecticut is proud to announce that Maureen Francescon of the Marsh Service Unit (Old Saybrook/Westbrook) was awarded the prestigious Girl Scouts of Connecticut Pin at the organization’s Annual Meeting on May 28. The Girl Scouts of Connecticut pin was developed exclusively by Girl Scouts of Connecticut and is the highest award given to adults on behalf of the Council. The Girl Scouts of Connecticut Pin recognizes any registered Adult Girl Scout giving outstanding service to a Council-wide assignment, or whose service and dedication impacts the success and development of the Girl Scout Leadership Experience for Girl Scouts of Connecticut. Maureen Francescon has been the leader of Travel Troop #3 for 35 years, leading 45 girls in numerous opportunities abroad, including Austria, Germany, and Switzerland. She has also taken groups of girls to the Grand Canyon and Yellowstone National Park. 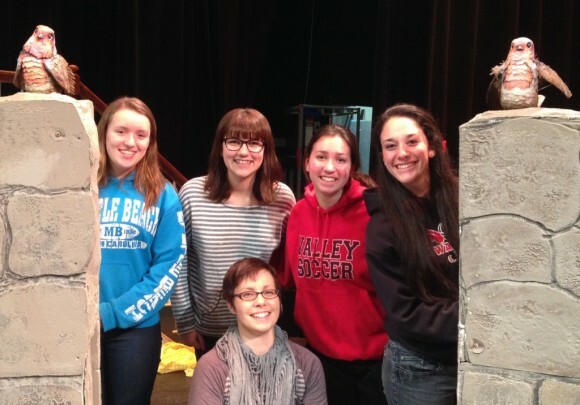 In addition, she ensures the troop participates in two community service trips per year. The photo attached, from left to right: GSOFCT CEO Mary Barneby, Maureen, and GSOFCT Board President Caroline Sloat. Photo credit is Girl Scouts of Connecticut. Girl Scouts of Connecticut is the largest girl-empowerment organization in the state, serving nearly 44,000 girls and more than 18,000 adult members. Girl Scouts of Connecticut’s mission is to build girls of courage, confidence, and character, who make the world a better place. For further information, visit www.gsofct.org or call 1 (800) 922-2770. Strickland replaces an interim principal who has directed the school since January, Nancy Haslam of East Haddam. Haslam, who had worked previously as principal at an elementary school in Waterford, was hired by the local school board at the end of last year to replace Jennifer Byars. A local resident who was hired in 2012, Byars left to accept a position as assistant superintendent of schools for the Ledyard school district. The previous principal was Jack Pietrick, who held the job for 13 years before retiring in 2012. Prior to his experience as Assistant Principal, Strickland was a Math Instructional Specialist for two years. Strickland began his career in education as a third and fourth grade teacher in Maryland and then in the Berlin Public Schools. Strickland has been recognized as a Teacher of the Year, and nominated for the CAS Assistant Principal of the year. Outside of school, Christian is an avid swimmer and enjoys participating in Spartan Races. 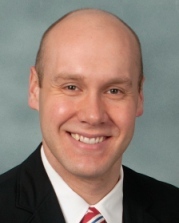 Strickland completed his Bachelor of Science Degree in Elementary education, his Master of Science Degree and his Sixth Year Degree in Educational Leadership, all from Central Connecticut State University. The Deep River Board of Education and Search Committee were very impressed with Strickland’s knowledge, commitment to excellence, integrity, sense of humor, and enthusiasm for elementary school students, families, and the Deep River community. The Board of Education unanimously endorsed Strickland on Thursday May 15th, at their Board of Education meeting. We are confident that Strickland will provide excellent leadership for the students at Deep River Elementary School. Strickland resides in Middletown with his family. He will begin his tenure in the Deep River Public Schools on July 1st, 2014. DEEP RIVER— A proposed $15,302,887 budget plan for 2014-2015 was rejected Tuesday on a 115-78 vote after an eight hour referendum. The board of selectmen and board of finance will hold a special joint meeting Thursday to consider any possible changes to the spending plan, which would then be submitted for a second vote at a town meeting expected in the second week of June. While the spending plan presented Tuesday included a proposed $3.78 million town government budget, a $5.47 appropriation for Deep River Elementary School, and the town’s $5.6 million share of the Region 4 budget, only the town and elementary school portions of the total spending plan are still subject to revision by the board of finance. The Region 4 budget was already approved on a 319-253 vote in a May 6 referendum, with Chester and Essex votes supporting the budget over a 156-69 opposing vote in Deep River. The total spending plan rejected Tuesday would have required a 0.85 mill hike in the property tax rate, for a new rate of 25.93 mills. Of a total spending increase of $523,376, $442,063 is for the town’s share of the Region 4 budget that is determined by the number of students from Deep River attending Valley Regional High School and John Winthrop Middle School. A higher than anticipated increase in the Deep River average daily membership at the two schools made the town’s taxpayers responsible for a larger share of the Region 4 budget. But Finance Board Chairman John Bauer said the board should make a final review of the town and elementary school budgets for any possible cuts, even with the understanding that cuts in these appropriations would bring little change to the tax rate. Bauer said the second vote on any revised budget should be done by voters at a town meeting, not a referendum. “It’s a waste of money for the amount of people who showed up today,” he said. It was a day of celebration in small town Essex. Finally, finally the town’s number eyesore was coming down. 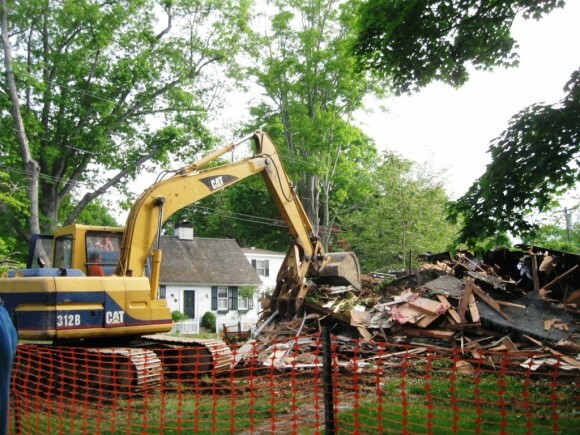 Early in the morning of Tuesday, May 27, a work crew from Shea Construction, which is headquartered on Westbrook Road in Essex, brought heavy equipment to the site, and methodically smashed the old slum house to the ground. The crushed fragments were then loaded into a waiting dump truck, which took the debris to a local land fill. Joseph Shea, Owner of Shea Construction, was personally on hand to supervise the operation. 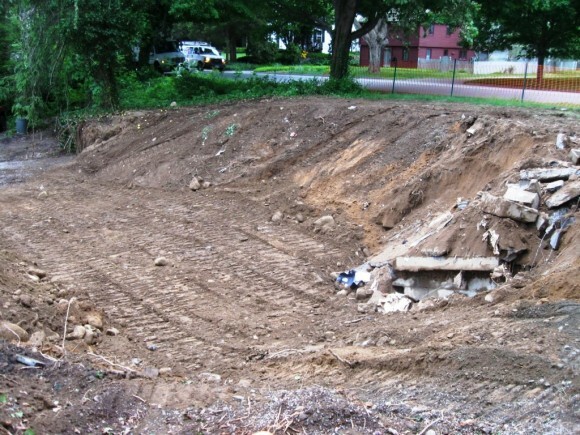 “We will completely finish the job,” he said, including filling the hole left in the ground by the house’s removal with fresh clean land fill. 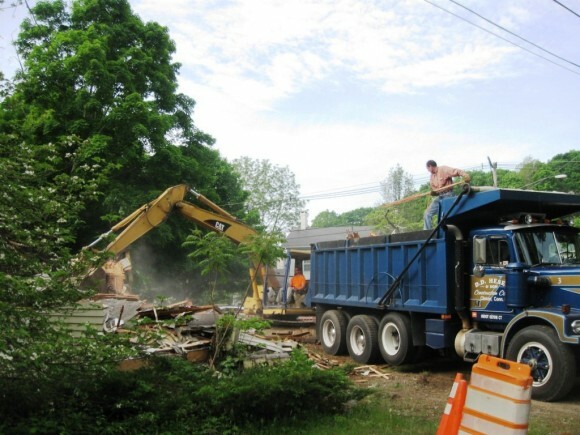 Also, the work entails not only crushing and removing the entire building structure but also removing the old house’s septic system. This full process should take a week, Shea said. In addition, once the house has been removed, “All of the nails will be pulled out of the boards,” he said, as an environmental measure. Among the spectators watching the destruction proceedings from the side walk was Tom Rutherford, who lives on nearby Laurel Hill Road in Essex, “We all have been ready for this to happen for a long time,” he said.” Rutherford also expressed his and the town’s gratitude to fellow Essex resident Ina Bomze, who paid $142,000 to purchase the property of the old slum house from the bank, and hired the contractor to clear the site. She will also fund the conversion of the property into a new town park. “I think it is wonderful thing that she has done,” Rutherford said, referring to Ms. Bronze. A central feature of the new park will be a solid bronze statue of Ms. Bromze’s late canine companion, “Morgana“, which she always refers to as a person. Also, the street address of the new park is 63 North Main Street, and Ms. Bromze, lives just across the street at 64 North Main Street. Once the new park is completed she will be able not only to see the new park, but also the memorial statue of “Morgana” from her front windows. The Essex Land Trust has agreed to maintain the park in the future with its memorial statute to a beloved companion in full display. DEEP RIVER— Polls will be open from 12 noon to 8 p.m. Tuesday at the library community room for a referendum vote on the proposed $15,302,887 town and schools budget plan for 2014-2015. The total spending package, which is up by $523,376 from the current amount, includes a $3,826,230 town government budget and capital expenditure plan, $384,670 for debt service, a proposed $5,474,000 appropriation for Deep River Elementary School, and the town’s $5,602,987 share of the Region 4 education budget. The Region 4 total was already approved in a May 6 referendum, with voters of Chester and Essex supporting the budget and Deep River opposed on a 156-69 vote. With more students attending Valley Regional High School and John Winthrop Middle School, Deep River is paying a larger share of the Region 4 budget this year. The town’s share of the budget is up by $442,063, or 8.57 percent, an increase that accounts for nearly all of a planned .085-mill hike in the property tax rate that is required to fund the spending total. The proposed tax rate of 25.93 mills represents $25.93 in tax for each $1,000 of assessed property value, a 3.4 percent increase in the tax rate. The amount of the tax increase led the board of selectmen to decide to send the spending plan directly to a referendum vote. After more than a decade of budget referendums with ever decreasing vote turnout, the town last year approved the budget by a town meeting vote for the first time since 2000. AREAWIDE— Democrats have nominated incumbent State Rep. Phil Miller of Essex for a new term in the 36th House District. Miller was the unanimous choice of the 15 delegates gathered for the nominating convention Wednesday at the Haddam Firehouse. The district includes the towns of Chester, Deep River, Essex and Haddam. Miller was nominated by Fred Vollono, a former town chairman in Essex, with seconding remarks from Claire Tiernan of Essex. 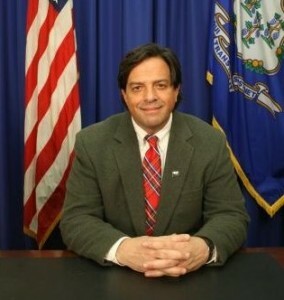 Vollono described the incumbent as a “leader with foresight” at the Capitol. Also praising Miller as a “devoted, knowledgeable and respected” legislator was Emily Bjornberg of Lyme, the Democratic nominee for state Senate in the 12-town 33rd district. Miller, in remarks to the delegates, said his goals for a new two-year term would be “investing in our young people,” protecting the state’s “most vulnerable” residents and enhancing protections for consumers. Miller serves on the Legislature’s Environment, Public Health, and Human Services committees. Miller, a former naturalist at an Episcopal Church run camp, served four terms as first selectman of Essex from 2003-2011. He was elected to the General Assembly in a February 2001 special election after the previous five-term Democratic incumbent, James Spallone of Essex, resigned the seat to take a job as deputy secretary of the state. Miller defeated Republican Vince Pacileo, a former Essex selectman, on a 7-105-5,352 vote in 2012. Republicans last week nominated Chester Harris of Haddam to challenge Miller in the Nov. 4 election. 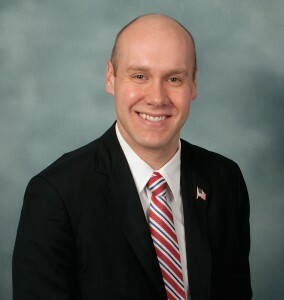 Harris was the unsuccessful Republican nominee against Spallone in 2010. CHESTER— The spring budget season ended quietly Thursday night as voters at the annual budget meeting approved a $12,507,736 budget plan for 2014-2015. About 40 residents turned out for the meeting, with the budget and a related $350,000 transfer of funds for capital projects approved on unanimous voice votes. The spending package includes a $3,649,681 town government budget, a $342,670 capital expenditure plan, a $4,150,677 appropriation for Chester Elementary School, and the town’s $4,364,508 share of the Region 4 education budget. The Region 4 budget was approved by voters of Chester, Deep River, and Essex in a May 6 referendum. The spending plan that won quick approval Thursday will require a property tax rate of 24.82 mills, an increase of 2.87 mills from the current tax rate of 21.95 mills. The new rate represents $24.82 in tax for each $1,000 of assessed property value. The hike in the mill rate was driven by a 12 percent decrease in the grand list of taxable property that resulted from the townwide property revaluation completed last year. But the drop in assessed values for residential property that came with the revaluation is also expected to cover or limit any increase in tax bills resulting from the new and higher mill rate. First Selectman Edmund Meehan said 57 percent of all property owners will have a decrease in their tax bill, while some total bills will remain the same or have a small increase. The transfer for capital projects, which was approved on a unanimous voice vote, includes $300,000 for road and sidewalk repairs, $150,000 in 2014-2015 and $150,000 in 2015-2016, and $50,000 for repairs and code compliance improvements at town buildings. The transfer is expected to leave about $1.8 million in the fund balance on June 30, 2015. AREAWIDE— Democrats Monday nominated political newcomer Emily Bjornberg of Lyme to challenge one-term incumbent Republican State Senator Art Linares of Westbrook in the 12-town 33rd Senate district. Bjornberg, 33, was the unanimous choice of the 45 delegates gathered for the Democratic convention at the Old Town Hall in Haddam. Linares, 25, was nominated by delegates at the May 12 Republican convention at the Riverhouse in Haddam. Linares, cofounder of a Middletown-based solar energy company, was elected in a three-way contest in 2012, succeeding a 20-year Democratic incumbent, former Sen. Eileen Daily of Westbrook. Ljnares defeated Jim Crawford of Westbrook, who was then serving as a state representative, on a 23,915-21,251 vote in a race where an active Green Party candidate, Melissa Schlag of Haddam, garnered 4,317 votes. Schlag later rejoined the Democratic Party was elected last year as first selectwoman of Haddam, She was present at the convention Monday to support Bjornberg. Also offering support at the convention was Lt. Governor Nancy Wyman, telling delegates “we’re finally going to get someone who will replace Eileen Daily.” Bjornberg was nominated by Crawford, with seconding remarks from Mary Ellen Klinck of East Haddam, who competed with Crawford for the party nomination at an August 2012 Democratic primary, and Daily. Bjornberg, the married mother of two grown children, contended Linares’s views and votes over the part 18 months are “clearly out of step with the majority of his constituents.” She cited Linares vote against raising the minimum wage, and opposition to bills that included grant funding for local projects in the district. Bjornberg said Linares would often vote against total funding bills, and then claim credit for grants that are awarded for projects in district towns. “I will be a strong voice for our district inside the majority caucus,” she said. Linares was nominated last week by former state representative and environmental protection commissioner Sidney Holbrook of Westbrook, with seconding remarks by Carl Chuznik of Portland. Linares told the delegates he would continue efforts to improve the business climate in Connecticut and support policies that provide more flexibility and local control in education. The 33rd Senate District includes the towns of Chester, Clinton, Colchester, Deep River, East Haddam, East Hampton, Essex,, Lyme, Portland, Westbrook, and sections of Old Saybrook. When Tri-Town Youth Services updated its logo recently, it dug deeply into the history of the region. Chester, Deep River and Essex were all towns in the Saybrook Colony up until 1644. Repurposing a simple border element found in the original Saybrook Colony coat of arms, the rendering is both geometric and symmetrical, motivational and energetic, and speaks to a sense of deep history and community pride that is evident throughout the tri-town area. The process of developing the new logo itself involved youth and adult community members’ participation in focus groups, the engagement of the brand development and design organization, co:lab, which works exclusively with organizations committed to social value. Sandy Vaccaro of Smart Graphics has designed the agency’s new letterhead and business cards. The new logo arrives just in time for Tri-Town Youth Services to celebrate its 30th anniversary this fall. OLD SAYBROOK – State Rep. Marilyn Giuliano petitioned the Small Town Economic Assistance Program for a grant of $500,000 to fund the town of Old Saybrook’s creation of the Main Street Connections Park and Parking Lot Project. “This grant will improve our Main Street business district with much needed downtown parking and a recreational park for people to enjoy our downtown attractions,” said Giuliano. The town will use the grant funding for capital improvements including redeveloping the irreparably storm-damaged Police Department property. Additional downtown parking and a park with a canopied pathway and seating area are planned. AREAWIDE— Democrats Thursday nominated incumbent Judge Terrance Lomme of Essex for a second four-year term as judge of probate for the nine-town region. Lomme was the unanimous choice of the 31 delegates gathered for the nominating convention at Essex Town Hall. The nine-town region, which was established under the statewide consolidation of probate courts in 2010, includes the towns of Chester, Clinton, Deep River, Essex, Haddam, Killingworth, Lyme, Old Saybrook, and Westbrook. The court is located in Old Saybrook. Lomme was nominated by Bruce Edgarton of Deep River, with seconding remarks from Larry Oullette of Clinton. Edgarton said Lomme has “invaluable experience,” as a practicing lawyer for 30 years and former local judge of probate in East Haddam during the early 1990s. He said Lomme had successfully implemented the consolidation of the nine local probate courts during the eight weeks between election day 2010 and the start of the new judge term in January 2011. 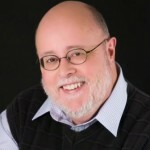 Lomme, in brief remarks to the convention, recalled his initial endorsement for the judge of probate position at a May 2010 party nominating convention where six candidates competed through six ballots before he secured a majority of the delegates. 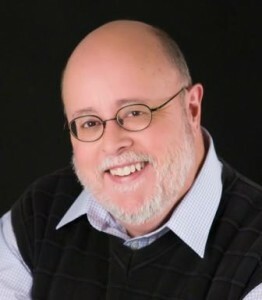 “What a difference four years makes,” he said, adding that “compassion and understanding” are requirements for the regional judge position..
Lomme won the party nomination in 2010 after an August primary with Raymond Rigat of Clinton, who was serving as that town’s local probate judge at the time. Lomme later defeated the Republican nominee, Clinton lawyer Anselmo Delia, by a 419 vote margin in the general election. Lomme faces a rematch contest with Delia in the Nov. 4 election. Delia was nominated for a second run for the regional judge position by delegates at the Republican convention on May 8. I’m sorry to read Mr. Harfst (letter May 13, 2014) is unsatisfied with Sen. Linares’ voting record. I am quite pleased with it myself. Senator Linares understands what raising the minimum wage does to small businesses. He understands in this abysmal economy, forcing small business owners to pay a higher minimum wage can mean forcing them to cut low-wage jobs in order to stay afloat. Otherwise the businesses go under, and then who does that help? If Mr. Harfst believes those in menial jobs deserve higher pay, why stop at $10.10? Why not go to $15? How about $25 as the Swiss have proposed? Low skill jobs were never intended to be the highlight of one’s career. They were to be rungs in the ladder to help them achieve a higher ambition. My own children did unpaid internships, worked for less than minimum wage in jobs during the summers, and now, as adults, they all have careers they busted their tushes to attain. That’s the way our system is supposed to work. People get rewarded for hard work done well. Absentee ballots have been abused over the years. With all the volunteers who are willing to drive people to the polls and the long hours the polls are open, it’s hard to believe people can’t get themselves to the polls one way or another. It’s called personal responsibility. Gun safety laws (i.e., gun control) after a tragedy like Sandy Hook help the population feel as though they’re doing something good after such a horrific event, however all the laws already on the books at the time of the tragedy didn’t prevent it. Maybe if people at the school had been armed, someone may have been able to stop the perpetrator before he killed so many innocents. We don’t read of the crimes stopped and people saved by armed citizens with concealed carry permits because those kinds of reports don’t fit the liberal narrative. Personally, I feel safer thinking there might be someone in the shopping mall, theater, or restaurant who, at a moment’s notice, could fend off a madman. And, speaking of the Constitution, I assume Mr. Harfst is for it. I assume he enjoys the freedoms it assures. If he is, then he is a Tea Partier. Welcome! Tea Party members, like me, believe in protecting the document that has been the envy of people all over the world, hence the reason so many want to become Americans. As far as Sen. Linares voting “no” to certain legislation, I’m sure his reasons were as valid for his no vote as Mr. Harfst’s party’s reasons for voting for it. As Justice Antonin Scalia says, and I’m paraphrasing, “Our system is set up to have roadblocks when it comes to legislation. It helps prevent bad bills from being passed. If both sides finally agree on a bill, it’s probably a good bill.” I trust Sen. Linares to represent his constituents by using his judgment as to whether a bill is good or bad. I also find it sad Mr. Harfst considers Sen. Linares’ “exploits” like supporting toy drives and hosting flag collections as unworthy endeavors. I doubt the children who receive the toys or the patriots who know their tattered flags will be disposed of properly consider these events a waste of time. And for him to vote “no” on even higher gas prices, I say “YAY”! They’re already some of the highest taxes in the country and any increase hurts most the aforementioned low-wage earners Mr. Harfst presumes to want to help. Senator Linares is continuously meeting, speaking to, and most of all, listening to his constituents so he can do the work they want him to do. In other words, he’s doing exactly what he was elected to do. Devin Carney, Republican candidate for State Representative, won the 23rd District Convention by a vote of 10-4. His campaign was able to earn unanimous support from Lyme, Old Saybrook, and Westbrook. This included votes from the Lyme First Selectman, Ralph Eno, the Old Saybrook First Selectman, Carl P. Fortuna, Jr., and the current State Representative for the 23rd District, Marilyn Giuliano, who also gave Carney his nominating speech and has endorsed him. In a statement, Giuliano said, “I believe Devin will work for all of us with energy and integrity, and with an interest not in politics, but public service.” Giuliano lost her convention in 2002 by onlytwo votes on a second ballot vote after the first vote failed to determine a winner by majority, but defeated her opponent in a primary due to her showing in her hometown of Old Saybrook. In addition to the support at convention, Carney has received support from each town – which can be seen through his strong fundraising effort. He collected 95 donations from Old Saybrook, 57 from Old Lyme, 35 from Westbrook, and 18 from Lyme. For more information about Carney’s campaign, contact Melissa Bonner at carneyfor23pr@gmail.com. Jason Bohn, Paulette Swanson and Vin Capece accept an award for Middlesex Hospital at the Middlesex United Way Campaign Awards Breakfast. Capece served as chair of the 2013-14 Middlesex United Way Campaign for Middlesex County. AREAWIDE – More than 75 companies, organizations, and individuals were honored May 6 for their contributions to raising $1.75 million for the 2013-14 Middlesex United Way Campaign. Local companies recognized include: AAA Allied Group, Old Saybrook; AT&T, Inc., Essex and Old Saybrook; Child & Family Agency of Southeastern CT, Essex; Community Health Center, Old Saybrook; Essex Savings Bank, Essex; Godiva Chocolatier, Inc., Old Saybrook; Liberty Bank, Deep River, Essex and Old Saybrook; Mahoney Sabol & Company LLP, Essex; Middlesex Hospital, Essex; Stop & Shop SupermarketCo., Old Saybrook; and Tower Laboratories, Centerbrook. The top honor, the Corporate Spirit Award, was presented to Standard-Knapp, of Portland. The Corporate Spirit Award is the highest honor a company can receive for running a United Way campaign. Other distinguished honors were awarded to: East Hampton resident Meghan Slater, of the Middletown firm Wright-Pierce, who was named Coordinator of the Year for bringing enthusiasm and creativity to the workplace campaign; Carol P. Wallace, CEO of Cooper-Atkins Corp. in Middlefield, who earned the Leadership Award for exemplifying philanthropic leadership through support of the United Way campaign; and Kuhn Employment Opportunities in Middletown, named Funding Partner of the Year for achieving noteworthy results in employee giving and special events by a Middlesex United Way funding partner. Special Achievement Awards for outstanding Middlesex United Way campaigns were presented to: Henkels & McCoy, of Portland; Lyman Farm, Inc. of Middlefield, Town of Durham; and Middlesex Hospital and Webster Bank, both with locations throughout Middlesex County. Colebrook Financial in Middletown was awarded the Small Business Community Partnership Award for outstanding support by a small business. 2013-14 Campaign Chair Vincent G. Capece, Jr., of Middlesex Hospital, was honored for his leadership during the campaign, and Dr. Pat Charles, superintendent of Middletown Public Schools, was announced as the incoming 2014-15 Campaign Chair. The funds raised by these companies through the Middlesex United Way campaign will be invested in strategies to advance education, income, health and housing in Middlesex County. Middlesex United Way is a locally based organization dedicated to strengthening lives, helping people, and improving community conditions in the fifteen towns in Middlesex County. Middlesex United Way serves the towns of Chester, Clinton, Cromwell, Deep River, Durham, East Haddam, East Hampton, Essex, Haddam, Killingworth, Middlefield, Middletown, Old Saybrook, Portland and Westbrook. 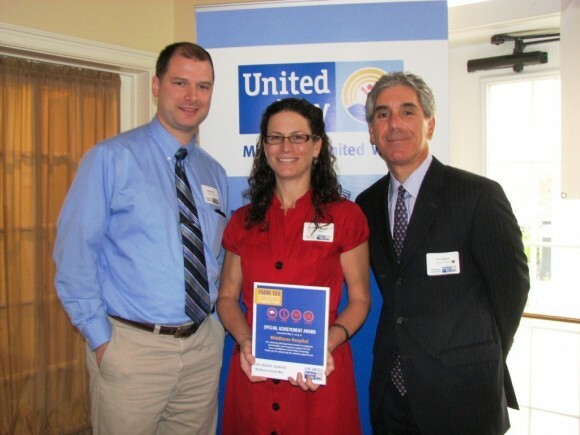 For a complete list of all 2013-14 Middlesex United Way Campaign Award winners, visit www.middlesexunitedway.org/news. 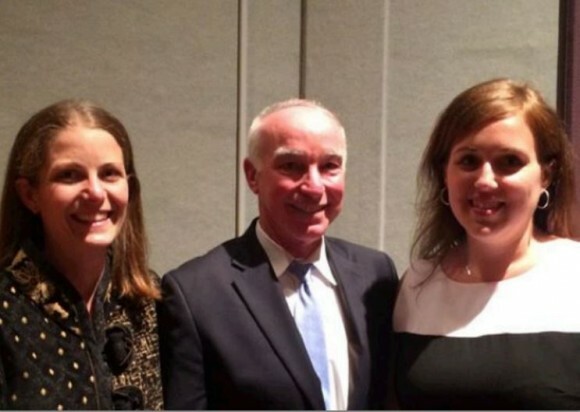 From left: Emily Bjornberg, Rep. Joe Courtney and State Rep. Mae Flexer (D-Killingly) at Courtney’s nominating convention earlier this week. Emily Bjornberg of Lyme, Democratic candidate for the State Senate in the 33rd District, addressed the nominating convention of U.S. Rep. Joe Courtney (D-2nd) on Wednesday evening at Asnuntuck Community College in Enfield. The 33rd District includes Chester, Clinton, Colchester, Deep River, East Haddam, East Hampton, Essex, Haddam, Lyme, Old Saybrook, Portland and Westbrook. “Joe Courtney has amassed a stellar record of fighting hard for education, defense, agriculture and small business. 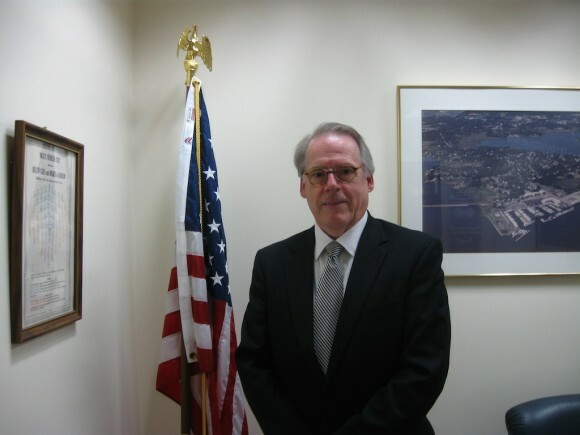 He holds true to the values that matter most to Eastern Connecticut, and we are proud to call him our representative,” said Bjornberg. Courtney is seeking a fifth term in the U.S. House of Representatives. “It has been an honor to serve the people of the second district of Connecticut for more than seven years, and I am looking forward to running again. I am grateful for the strong support displayed at our convention, which demonstrates the importance of the work we will continue to do in Connecticut and in Washington,” said Courtney in a prepared statement. 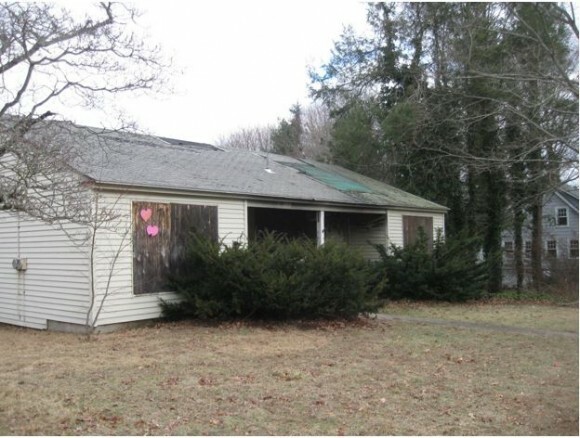 Essex’s number one eyesore, the abandoned property at the corner of North Main Street and New City Street at 63 North Main Street, will be torn down on May 27. This is the promise of Ina Bromze, who purchased the property from the bank last April for $142,000. According to Ms. Bromze, the highlight of the new park on the site will be a bronze statue of her beloved dog, “Morgana.” Morgana died last year, but when she was alive she and her mistress were a frequent sight walking around Essex. Ms. Bronze still takes her walks around Essex, but now she walks alone. ESSEX— The board of finance Thursday set a property tax rate of 20.99 mills to fund the total $23.05 million town/schools spending package for 2014-2015 that was approved by voters at the May 12 annual budget meeting. The rate, representing $20.99 in tax for each $1,000 in assessed property value, is up by two mills from the current rate of 18.99 mills. Much of the two mill tax hike was required to make up for revenue lost after the townwide property revaluation completed last year led to a 7.72 percent drop in the grand list of taxable property. Despite the increase, First Selectman Norman Needleman said Thursday about 80 percent of the town’s residential property owners would see only a “nominal” decrease or increase in the property tax bill they receive next month. Most, but not all, of the town’s residential properties had a drop in assessed value under the first revaluation conducted since the Great Recession began in 2008. Finance Director Kelly Sterner presented the board with ten options for the tax rate, beginning with an “adjusted mill rate” of 20.62 mills to cover the drop in the grand list after revaluation. Sterner said the “break even mill rate,” with no planned deficit, would be 21.05 mills. She noted the finance board, in setting the rate at 18.99 mills last year, had projected a potential deficit of about $113,000, with the understanding that any possible deficit could be covered from the town’s estimated $2.7 million undesignated fund balance. But with help from unanticipated revenue, a small Region 4 education budget surplus that was returned to the town, and under spending in some accounts, the projected deficit became a surplus of about $100,000 that will put the fund balance at about $2.8 million when the current fiscal year ends on June 30. Needleman predicted there would be some surplus remaining from the 2014-2015 budget, and urged the finance board to limit the tax increase to a 1.65 percent rise that would match the increase in spending. A 1.65 percent increase would require a tax rate of about 20.96 mills, with a potential, but not certain, deficit of about $100,000. But board Chairman Keith Crehan said he would prefer to project a slightly lower deficit in the event there is less surplus remaining as the 2014-2015 fiscal year draws to a close. Crehan favored a tax rate of 20.99 mills, a figure that would project a deficit of around $55,000 at the close of the next fiscal year. The 20.99 rate was approved on a unanimous and bipartisan vote, with Democratic members Campbell Hudson, Mary Louise Pollo, and Donald Mesite joining Republican Crehan in supporting the 20.99 rate. Democrat Fred Vollono and Republican Jeffrey Woods were absent fromThursday’s meeting. AREAWIDE— Republicans Wednesday nominated Chester Harris of Haddam for the 36th State House District seat. Harris, making his second run for the seat, will challenge incumbent Democratic State Rep. Phil Miller of Essex in the Nov. 4 election. Harris, a resident of the Haddam Neck section of Haddam located on the east side of the Connecticut River, had run for the seat previously in 2010, losing to than incumbent Democrat representative James Spallone of Essex on a,6,055-4,251 vote. But Spallone never began the term he was elected to in 2010, resigning weeks after the election to assume the position of Deputy Secretary of the State. Miller, who had served as Democratic first selectman of Essex since 2003, was elected in a February 2011 special election, defeating Republican nominee and former television news anchorwoman Janet Peckenpaugh. Miller was elected to a full term, in 2012, defeating Republican Vince Pacileo of Essex on a 7,105-5,352 vote. Miller is expected to be nominated for a new two year term by district Democrats at a May 20convention. Harris has served previously as an elected member of the Region 17 Board of Education that supervises schools in Haddam and Killingworth. After working previously as a livery driver, Harris is currently on disability leave. He is the married father of two grown step-children. primary efforts and ultimately in her race against any Democratic candidate this November. Lanier’s donors have come from both statewide and the four towns with areas in the 23rd District, namely Old Saybrook, Old Lyme, Lyme and Westbrook. Vicki, a life-long resident of Old Lyme, was elected to the Regional District 18 Board of Education in 2009, where she served as treasurer. 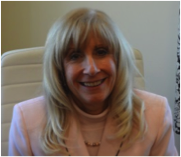 She holds a law degree from Quinnipiac University and practices family law. She is a contributing mentor to various women’s groups and active in community efforts supporting children and small businesses. For additional information, contact vickilanier2014@gmail.com. Visit her page on Facebook at “Lanier2014″ and her website at www.lanier2014.com. ESSEX— Republicans Thursday nominated Clinton lawyer Anselmo Delia for a second run for the judgeship in the nine-town Saybrook Probate Court District. Delia was the unanimous choice of the 33 delegates gathered for the GOP district convention at Old Saybrook Town Hall. Delia, 59, will challenge incumbent Democratic Judge of Probate Terrance Lomme of Essex in a rematch of their 2010 election contest for the position, the first election after a state-mandated consolidation of local probate courts in each town. Lomme defeated Delia by 419 votes out of a total district-wide vote of about 26,300. Delia carried the district towns of Clinton, Haddam, Killingworth and Westbrook, while Lomme carried the towns of Chester, Deep River, Essex, Lyme, and Old Saybrook. Lomme is expected to be renominated for a second term by district Democrats at a May 21 convention. Delia, the married father of two grown children, cited his 27 years of volunteer service in Clinton as a key qualification for the position, along with 32 years of experience as a general practice attorney. Along with leadership positions on the Clinton Republican Town Committee, Delia has served on the town’s board of education, youth and family services board, and economic development commission. He is the current elected chairman of the planning and zoning commission, and has also served on a town charter revision commission, and a new interchange development committee committee that is developing strategies for redevelopment of the Morgan High School property as the town prepares to build a new high school. Delia said he would serve as a full-time regional judge of probate, “winding down and terminating” his law practice if he is elected,. “This is a high paying job and you deserve an individual that commits to it 100 percent,” he said. Delia said he is planning an active campaign for the Nov. 4 vote, urging delegates to contribute to his campaign financially if possible, but also through volunteer efforts and spreading information about his candidacy on social media. Delia said he would seek a public debate with Lomme, an event that did not occur during their 2310 race. Judge of Probate Terrance Lomme. Let’s take an all too common case along the shoreline. Grandmother has been a widow for several years now, and gradually, gradually, the ordinary chores of keeping a banking account, paying bills, and having her finances in order, has become too much for her. In such a case grandma herself can go before a local Probate Judge and request the appointment of a Conservator to keep her books and pay her expenses. The person to be appointed could be a relative, or a trusted friend of the person seeking the court’s appointment of a Conservator. It is not necessary to go to the expense of hiring a lawyer in a case such as this. Rather, if the person needing help has a person that they want to handle their affairs, they simply have to go before the Probate Judge, and get the judge’s approval for the appointment. Our local Probate Judge is Terrance Lomme, and he is based in Old Saybrook. His probate district includes the towns of Chester, Clinton, Deep River, Essex, Haddam, Killingworth, Lyme, Old Saybrook and Westbrook. Lomme’s offices are on the second floor of the Old Saybrook Town Hall, and the Court’s telephone number is 860-510-5028. There are of course other cases, which are far more complicated, and they may require a private attorney’s services. The simple case mentioned above involves a “Voluntary Conservator” appointment. There are also “Involuntary Conservator” appointments, which require, among other things, a doctor’s report stating that the appointment of a Conservator is a medical necessity. “Involuntary Conservator” appointments are the most common kind of Conservator arrangement, and before they are approved, there must be a formal hearing before the Probate Judge. Also, this kind of Conservatorship will only be granted, if there is clear and convincing evidence presented at a hearing that a Conservator’s involvement is necessary. There is also a statutory appeals procedure for Involuntary Conservator appointments. Another type of appointment of a Conservator are those just for a limited period time, such as thirty days. When the temporary appointment time limit expires, the affected person resumes making his or her own decisions. Making things even more complicated, a Conservator can also be appointed for the Conservatorship of an “estate,” meaning essentially, control over tangible assets, and not over a person. Banks can be appointed as a Conservator for an estate but not for a person. Also, hospitals and nursing homes are not allowed to be appointed either for a person or for an estate. Periodic accountings are also required of a Conservator of Estate, and the posting of a bond is customary. As for Conservators concerning persons, they must get court approval before placing the subject person in a long term care institution, a change of residence, the selling of household furnishings, selling or transferring real estate, investing the subject person’s funds, and placing the person in psychiatric care. A Conservator of Estate can be terminated if the funds therein are below $1,600. It can also be terminated if the person under a Conservator arrangement is now capable of managing his or her own affairs. A conserved person has a right to request restoration, and a court must hear this request within 30 days. Furthermore, if a conserved person cannot obtain an attorney, one will be appointed for him or her in these situations. A program is scheduled Tuesday, May 13 at 6:30 p.m. at the Essex Library, which is the second in a series on what you need to know about probate, and will focus on the law and procedures of Conservators as part of ageing and estate planning. It will be hosted by Probate Judge Terrance Lomme, and the public is invited to attend and ask questions. CHESTER— The board of selectmen Wednesday approved plans for the Main Street East project that include a continuous sidewalk on the north side of the road that has drawn objections from some residents in recent weeks. The board accepted the recommendation of the volunteer Main Street Project Committee to direct project engineers to prepare final design plans that would include the north side sidewalk. The decision was unanimous and bipartisan, with Republican Selectman Tom Englert joining Democratic First Selectman Edmund Meehan and Democratic Selectman Larry Sypher in the vote. Project engineers with the Mystic firm Kent & Frost Associates presented alternative plans at the session, with most of the discussion focused on the north side sidewalk option that would require some changes to residential properties at 131 and 137 Main Street. Many of the objections focused on the need to remove three mature maple tree in the vicinity of 131 Main St. and the School Lane intersection. But other residents supported the plan for a continuous north side sidewalk and safer and more convenient for pedestrians, particularly with the possibility the town will pursue construction of a new library on a section of North Quarter Park that is located off the north side of the street. The property owners at 131 Main St., David and Lisa Meade, have expressed a willingness to accept the sidewalk with tree removal and work with the committee and engineers on landscape improvements and replacement of the trees. The property owners at 137 Main St., Jeff and Comer Gates, continue to oppose the project plans. Comer Gates and three other residents continued to voice objections to the north side sidewalk before the board’s vote Wednesday. Henry Krempel suggested delaying a decision on the north side sidewalk until after plans and funding for a new library at North Quarter park receive approval from town voters. But Meehan said the Main Street reconstruction is “long overdue,” with the north side sidewalk a much safer long range improvement for pedestrians. He noted all work for the four-foot wide sidewalk would be in the town’s right of way, with no need for taking of any private property for the project. Meehan said the town remains willing to work with both property owners, and pick up the cost for landscaping improvements on their properties. Englert, who served briefly as acting first selectman in 2011, said he had initial concerns about the north side sidewalk, but was convinced by comments from residents at the April 22 information meeting that it would be a safer long term improvement for the town by reducing the number of crosswalks between the north and south side of the street. As it is wider than the previous sidewalk, it could prevent nyc slip and fall settlements having to be made due to people tripping on the curb of the pavement. Meehan said there would be no need for a town meeting vote on the project design plans, though a town meeting vote would be required at a future date to transfer any needed town funding for the project. Most of the project would be funded by about $980,000 in state grant funds, though some additional town funding would likely be needed before the project could be put out to bid. Officials hop to being construction of the Main Street East project in the spring of 2015. In other business Wednesday, selectmen accepted a volunteer committee’s recommendation to hire the Avon firm Richter & Cegan inc. as the consults for drafting a master plan for North Quarter Park that would include a possible library site The other firm interviewed by the committee Wednesday was Kent & Frost.. Officials want the master plan completed by July 15. For those of us that are interested in sidewalk safety, I was talking to a friend recently who had an accident on an uneven sidewalk and decided to sue. They needed legal representation similar to Florence AL Personal Injury attorney. In the end, they found the legal aid they required to build a compelling case against this menace of a sidewalk! They got the compensation they deserve. So sidewalk constructors better keep the standards high if they want to avoid big settlements. The Shoreline Soup Kitchens & Pantries is pleased to announce that the 2014 Firehouse Food Drive held on April 26, 2014 raised 6,285 pounds of food for local residents in need. With the largest group of participating fire stations ever, volunteers and donors across the shoreline donned their raingear to lend a hand during the stormy Saturdaymorning. The Shoreline Soup Kitchens & Pantries (SSKP) is particularly grateful that this drive was a success, despite the rainy weather, because March and April are traditionally slow donation months. This is the third year that area fire stations have participated in the drive. Ten towns joined in the effort, including Old Saybrook, Old Lyme, Westbrook, Essex, Killingworth, Chester, Deep River, North Madison, Clinton and Niantic. Firehouses provided staff and publicity, opened their doors as drop off locations and helped to deliver donations to the pantries. Many stations also set up tents and sorting stations, handed out grocery bags, posted social media announcements, distributed lists of most-needed foods, and collected food at other April fire house events. In addition, the Clinton Shop Rite, Clinton Stop & Shop, Old Saybrook Stop & Shop, and Roberts Food Center of North Madison offered additional donation areas, manned by firehouse volunteers. This year the Old Saybrook firehouse brought in media sponsors, including Shore Publishing, who donated large advertisements in three newspapers. Radio stations Soft Rock 106.5 WBMW, Connecticut’s Hottest Jamz Jammin 107.7, and 94.9 News Now! helped get the word out with a live broadcast from the Old Saybrook firehouse, and AM stations WMRD 1150 and WLIS 1420 made many public service announcements. “Every day the personnel of the our volunteer fire stations are available to help those effected by fire and emergencies—they never turn down a call for assistance and raise their hearts and hands to help those in need. On April 26th, once again these amazing men and women gave of their precious time to answer the call of those most needy in our community. On behalf of SSKP and those we serve, thank you so much for this amazing gift of time and help—not only to our many fire stations, but to all those who dropped off food—you made a real difference in the lives of your neighbors”, said Patty Dowling, SSKP Executive Director. The need for donated food is on-going throughout the year, and SSKP urges other community groups to consider organizing food drives. The Shoreline Soup Kitchen’s five pantries distributed over 1 million pounds of food in 2013. Only 40% of this food is obtained through food banks; the remainder must be either purchased or donated. Call(860) 388-1988 or visit www.shorelinesoupkitchens.org for more information. All drives, no matter what the size, are greatly appreciated. The Shoreline Soup Kitchens & Pantries provides food and fellowship to people in need and educates the community about hunger and poverty, serving the Connecticut shoreline towns of Essex, Chester, Clinton, Madison, Old Saybrook, East Lyme, Lyme, Old Lyme, Killingworth, Westbrook and Deep River. Founded 25 years ago, in 1989, at the Baptist Church in Essex, the agency continues in its mission to feed the hungry in body and spirit. Last year with a small staff and over 900 dedicated volunteers, SSKP served enough food for over 908,000 meals to shoreline neighbors in need. ESSEX — Essex Savings Bank is pleased to announce that several employees were honored at the 67th Annual Graduation and Awards Ceremony of the Center for Financial Training. Brenda Kim, Assistant Branch Manager of the Old Lyme Branch, received her Professional Teller Certificate, Advanced Financial Services Diploma and First in Class Certificate for Real Estate Finance. Isabel Roberge, Senior Teller at the Chester Branch, received her Professional Teller Certificate and Suzanne Schneider, Accounting Representative at the Corporate Office, received a First in Class Certificate for Law and Banking: Applications, Introduction to Financial Services Certificate and Introduction to Financial Services Operations Certificate. Essex Savings Bank is a FDIC insured, state chartered, mutual savings bank established in 1851. The Bank serves the Connecticut River Valley and shoreline with six offices in Essex (2), Chester, Madison, Old Lyme and Old Saybrook. Financial, estate, insurance and retirement planning are offered throughout the state by the Bank’s Trust Department and wholly-owned subsidiary, Essex Financial Services, Inc, Member FINRA, SIPC. Investments in stocks, bonds, mutual funds and annuities are not FDIC insured, may lose value and are not a deposit, have no Bank guarantee and are not insured by any Federal Government Agency. Republican candidate for State Representative, Devin Carney, has announced that he has raised $6,285 from 205 donors across the 23rd District, which includes Lyme, Old Lyme, Old Saybrook, and Westbrook. His campaign will qualify for funding through the Citizen’s Clean Election Program, which requires ‘public support’ from 150 donors in the four towns represented by the 23rd District. $5,000 in small donations is also required in order receive the $27,850 grant, which comes primarily from the sale of abandoned property in the state’s custody. Carney is a lifelong resident of Old Saybrook and grandson of Art Carney of Hollywood and Westbrook fame. Representative Marilyn Giuliano, who has represented the district since 2003, currently holds the seat. The Old Saybrook Republican announced in February that she would not seek a 7th term. She has thrown her support behind Carney. For more information, contact Melissa Bonner at carneyfor23pr@gmail.com. I know it may be hard to believe, but I think things are getting better on Metro-North. Last week I finally met Joseph Giulietti, the new President of Metro-North. I found him to be very smart, quite candid and equipped with a reasonable plan to bring this railroad back to its once-deserved world-class status. On May 11th a new timetable will become effective, aimed at achieving two goals: safety and reliability. The timetable will mean running trains on-time but still allowing for track and catenary work to keep the railroad in a state of good repair. At a Commuter Forum in Westport, Giulietti was the first to admit that the railroad was in bad shape, that trains are running slower and later, often with standees. But unlike GM’s Chairman explaining delays in safety recalls and blaming it on “the old GM”, Giulietti is taking ownership of the problems. That’s refreshing. Yes, trains are not on time (just 76 percent in February), but that’s because after the last May’s Bridgeport derailment the FRA issued speed restrictions on bridges and curves. The current timetable is, as one commuter put it in our recent survey, “more of a suggestion” than anything else. So for the past months the railroad has been analyzing the entire timetable, looking at the reasons for every late train and being open to revising everything. The new timetable will rationalize the current running times, adding 2-4 minutes for trains between New Haven and Stamford, but cutting two to four minutes for runs from Stamford to GCT. That means that your 7:35 a.m. train to work, usually arriving this winter at 7:40 or 7:45, may be rescheduled to arrive at 7:40 and, probably, will. This means you can plan your life with reliability and not be wasting time on the platform peering down the track. The problem of standees on trains will hopefully lessen when people return to a routine commuting cycle and extra railcars will be provided on trains where ridership shows the demand for more seats. The good news is that with increased reliability, we may also see greater frequency of service … four trains an hour in the a.m. peak instead of three trains every half-hour off-peak. Yes, the run may take a bit longer, but you’ll have more options, always knowing the scheduled departure and arrival times will be achieved. But is the railroad safe? Yes, insist both Giulietti and CDOT Commissioner Jim Redeker. But so too was airline safety / security after 9-11. And our bridges became safer after the collapse of the Mianus River Bridge 30 years ago. Even in the “land of steady habits,” we hopefully learn from our mistakes. We’re now about half-way through Mr. Giulietti’s 100 day plan to get Metro-North back on track. I, for one, am hopeful he will achieve his goals. But on day 100, June 11th, I’ll be checking the scorecard and seeing what he’s achieved versus what was promised. In celebration of Arbor Day, the Essex Rotary Club and the Essex Garden Club each donated a redbud tree to the Essex Tree Committee. 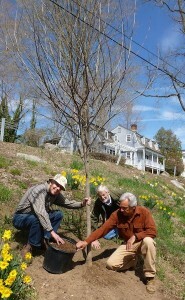 These trees were planted on Friday, April 25 on South Main Street (opposite Collins Street) by Augie Pampel, Essex Tree Warden and Chairman of the Tree Committee with the help of Fred Weber Tree and Landscape Experts. Richard Levene and Dr. Peter Pool from the Rotary Club and Linda Newberg from the Essex Garden Club, the Club’s President were on hand to add the final touches to the planting. The Eastern redbud (cercis Canadensis) is one of the first trees to flower in the spring with large showy clusters of soft pink to magenta buds that pop out directly on the branches and trunk. After blooming, light green, heart shaped leaves appear. These darken to an emerald green and in the fall turn to a golden yellow. The disease resistant trees mature to a height of 20-30 feet. These new trees are just two of many that were added to the Essex landscape this year thanks also to the Essex Land Trust and the Dept. of Park and Recreation. To see any of the new trees take a walk across the Town Hall campus, stroll into Cross Lots, check out the new trees at the Essex Elementary School and the Ivoryton Green. Once again the Essex community enhances the beauty to our streets and parks! If you or your organization would like to fund/donate a tree, please contact Augie Pampel at augiepampel@att.net. CHESTER— A proposed $3.64 million town government budget and a $4.15 appropriation for Chester Elementary School head for a town meeting vote on May 22 after a quiet public hearing Monday. Barely a dozen residents turned out for the budget hearing, with no calls for changes or reductions to the spending plans. The town government budget is up by $132,627 over the current appropriation, while the requested budget for the elementary school has decreased by $31,696. The total $12,507,736 spending package also includes a $342,870 capital expenditure plan, and the town’s $4,364,508 share of the Region 4 education budget. First Selectman Edmund Meehan explained that a sharp 12 percent drop in the grand list of taxable property resulting from last year’s townwide property revaluation would require an increase in the tax rate, though decreases in assessed values for nearly all residential properties would mean that nearly all property owners would see either a decrease, or no change, in their current tax bills. The recommended tax rate for 2014-2015 is 24.82 mills, an increase of 3.87 mills from the current rate of 21.95 mills, The proposed rate represents $24.82 in tax for each $1,000 of assessed property value. Meehan said calculations by the assessor and tax collector indicate 57 percent of all property owners would have a decrease in their tax bill, even with the higher mill rate. This total includes 60 percent of all homeowners, 65 percent of all owners of vacant land, and 17 percent of all owners of commercial property. Meehan said the finance board has decided to use about $350,000 in surplus funds to “prepay” for key items in the capital expenditure plan for 2014-2015 and 2015-2016. He said this would help limit tax increases for 2014-2015 and subsequent years. The plan recommended by the board of selectmen and finance board would also transfer $13,287 from the town’s unexpended fund balance to cover spending in the next fiscal year, while leaving an estimated $1.83 million in the fund balance on June 30, 2015. The spending plan also includes $20,000 to fund architectural design work for a possible new library building in North Quarter Park. The annual budget meeting to vote on the town government and elementary school budgets is set for Thursday May 22 at 7:30 p.m. in the second floor meeting room at town hall. The Region 4 education budget goes to the voters of Chester, Deep River and Essex in a 12 noon to 8 p.m. referendum on Tuesday May 6. DEEP RIVER— The public hearing is Tuesday on a proposed $3.78 million town government budget and a requested $5.47 million appropriation for Deep River Elementary School. The hearing begins at 7:30 p.m. in the auditorium at town hall. First Selectman Richard Smith said the board of selectmen has already decided to bring the total $15,302,887 spending package for 2014-2015 to a12 noon to 8 p.m. referendum on May 27 because of the 0.85 mill hike in the property tax rate that would be required to fund the combined town/schools spending plan. After holding referendum votes on budgets since 2000, decreasing voter turnouts for the annual referendums led the board of selectmen last year to hold a town meeting-paper ballot vote on the budget. Smith said if the required tax increase was less than one-half mill, there would be another town meeting vote on the budget this year. But Smith said the size of the tax increase calls for a referendum vote that could bring wider participation from town voters. The new tax rate would be 25.93 mills, or $25.93 in tax for each $1,000 of assessed property value. The $3,788,230 town government budget that is up by $86,861, or 2.35 percent, from the current total. Smith said the budget includes a two percent wage/salary increase for town employees and elected officials, though the exact amount of the pay increases would be subject to negotiations with the Deep River Municipal Employees Association. The budget also includes $20,000 for a part-time assistant in the accounting office, a move that has been recommended in recent years by auditors. The town spending package also includes a $38,000 capital expenditure plan, and $384,670 for debt service. The $5,474,000 budget for Deep River Elementary School is down by 37,158, a decrease that is largely driven by decreasing students enrollment at the kindergarten through sixth grade school. But an increase in the number of students from Deep River attending Valley Regional High School and John Winthrop Middle School has led to a sharp increase in the town’s share of the Region 4 education budget. The $5,602,987 Deep River share is up by $442,063, or 8.57 percent, from the current amount. Smith said the higher share of the Region 4 budget is driving factor for nearly all of the 0.85 mills tax increase. The Region 4 education budget goes to the voters of Chester, Deep River, and Essex in a 12 noon to 8 p.m. referendum on Tuesday, the same day as the town budget hearing. Last year, the tax rate increased by 0.40 mills to fund town and school spending in the current fiscal year that ends June 30.